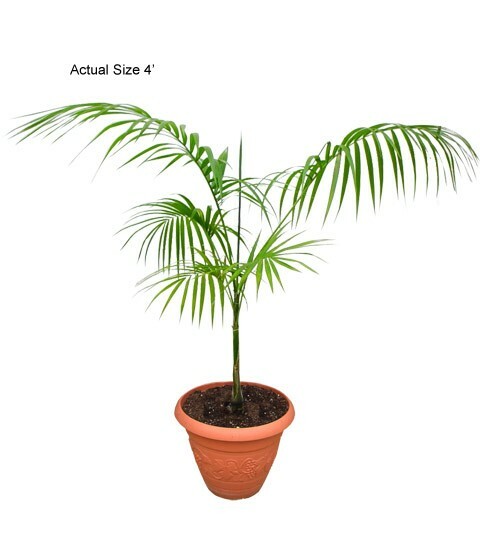 This unique and beautiful Açaí palm tree is very uncommon and is considered rare specimen to add to your collection. It is gaining popularity in many regions due to its powerful and nutritious fruit it produces throughout the year. This tropical unique looking palm tree produces Acai fruit which contains powerful vitamins, antioxidants, and minerals which have been said to ward off sickness and help in fighting against cancer causing free radicals and a long list of other ailments. In addition to being considered a “Super Food”, the fruit producing Acai palm tree also contains minerals that are known to create more energy. The Acai palm tree native to the South American Rainforests' of Paraguay, Brazil, Argentina, and Ecuador. The Acai palm tree grows to an average cultivated height of 20 to 30 feet, however, some Acai Palms have been known to mature at heights of 30 to 40 Feet. 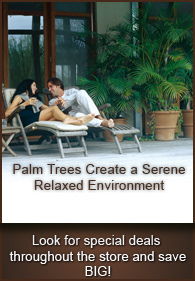 The Acai palm tree is a Palmhugger's dream come true! If you would like to know more about the Acai Palm Tree, visit our Palm Help section for useful and current information on this beautiful palm. For more photos of the Acai Palm, visit our Photo Gallery, it’s packed with vivid pictures of the Acai Palm used both for indoor and outdoor uses!